Today’s practice is simple but powerful. Simply choose to live and breathe abundance. Be grateful and thankful for every experience. Your thoughts manifest your experiences. Be mindful of your thoughts today. As you continue through this guide you will develop new habits, health positive habits that create miracles in your life every day. Today we focus on abundance. 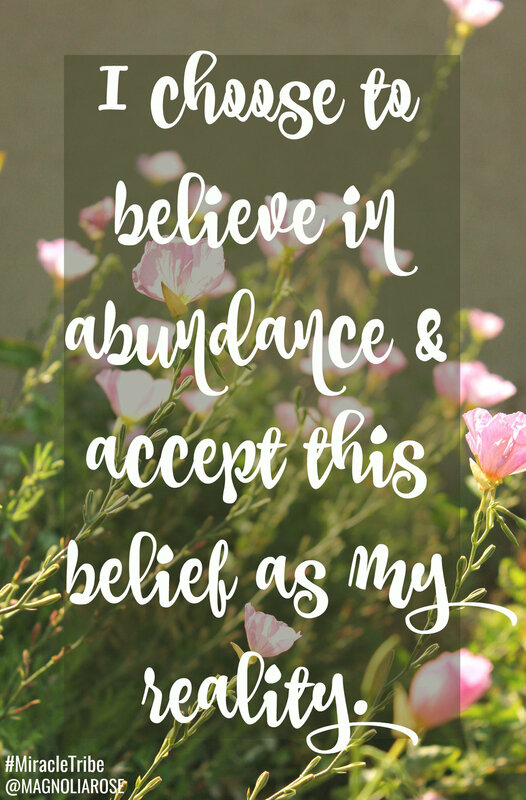 Choose to believe in abundance and accept it as your reality. Every time fear or negativity pops up today repeat today’s affirmation. Focus on what you are grateful for, what you do have, choose to believe in abundance and be dedicated to making today amazing. Your thoughts are damn powerful, its time you use them to your benefit.